Tate & Lyle has recently hosted its inaugural European meeting of texture scientists. Technical representatives from food producers from across Europe attended texture innovation seminars led by Tate & Lyle scientists and leading texture experts, which were held at the company’s application center in Lübeck, Germany. 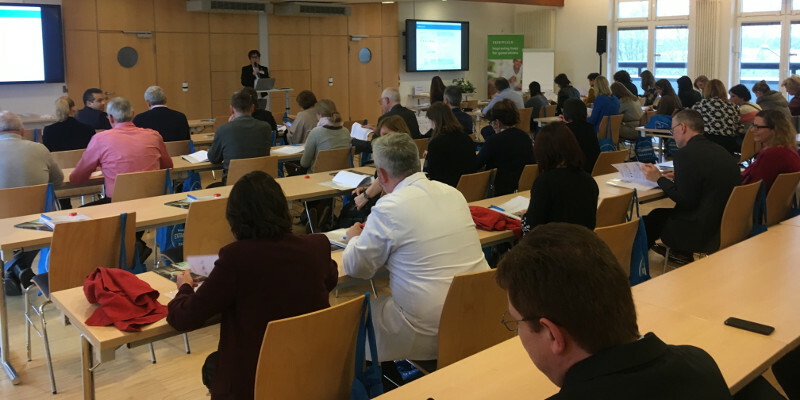 The seminars in Lübeck provided an opportunity for attendees to discuss the latest starch science and understand how Tate & Lyle’s TEXTURE VANTAGE® Expert Systems, its suite of texture selection tools, are enabling companies to innovate in line with consumer trends. Using Tate & Lyle’s texture maps, for instance, formulators are able to predict how different starches will impact on viscosity, processing, and sensory characteristics, helping them to accelerate product development and reduce the need for extensive consumer trials. Alongside Tate & Lyle application and research and development experts, the event featured a highly respected speaker line-up of academics, including Claire Rossi, Ph.D., University of Technology – Compiègne, France, and Christian Sina, MD, University of Lübeck, Germany. Dr. Judy Whaley, senior vice president of Research & Development at Tate & Lyle, commented: “One of the key consumer trends in the European market today is the boom in plant-based foods. ‘Vegan’ and ‘vegetarian’ products are the fastest growing new product claims. This, together with the ‘rise and rise’ of clean-label and increasing consumer demand for reduced fat, sugar and calorie products, means food formulators are grappling with how to deliver functionality with alternative ingredients”. On the other hand, the expert says that texture is one of the most difficult functionalities to get right. As producers push the boundaries of innovation and use less familiar ingredients, they have a greater need for texture design tools and insights that can predict product and ingredient performance and reduce development time. “The demand for this support, and the need for the exchange of ideas and knowledge, will only increase over time, and that is why we bring manufacturers and leading experts together at events such as this,” Dr. Whaley says.